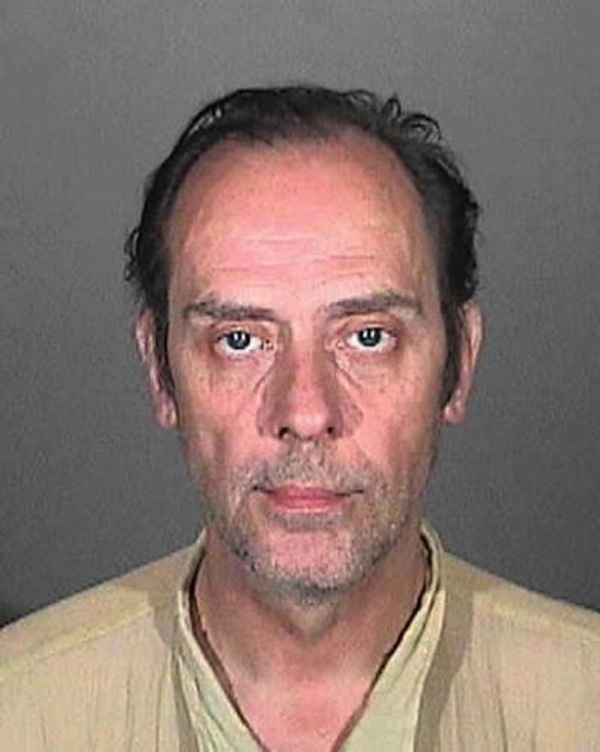 So… after his recent tour announcements, Peter Murphy – lead crooner with Goth-gods Bauhaus – has been arrested and bailed in LA for a hit and run accident (rear-ending another vehicle), plus DUI – drunk while under the influence – plus possession of methamphetamine! Wow. Since the initial reports yesterday (Tuesday), the offences have all been down-graded to misdemeanors, and, although the prosecution was looking for a cool $500,000 bail, Murphy was released on his own recognizance. He has since announced, via Facebook (below), that he WILL still be touring, and that his blood alcohol level was very low, way below legal limits. 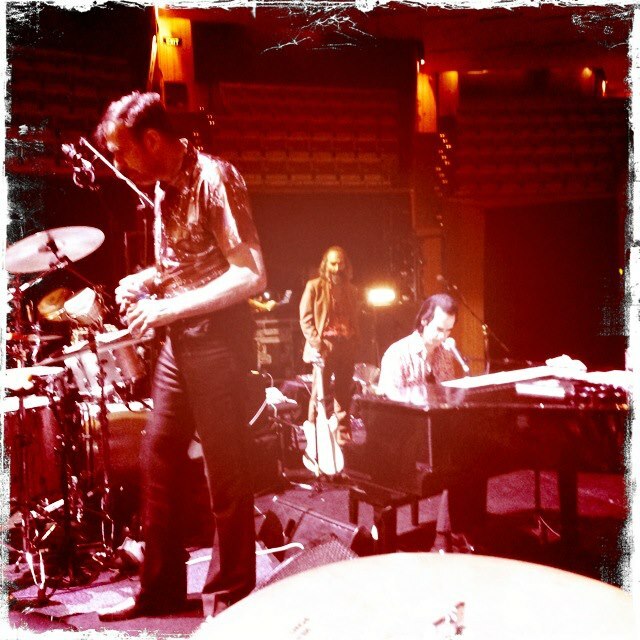 Nick Cave launches Spotify app – mood music extraordinaire! Well, Nick Cave is certainly embracing new fangled technologies, hot on the heels of his recent Twitter Q&A session – “I am hating this beyond measure, and I haven’t even started yet…” – comes the Nick Cave Spotify App. He has categorised his songs from the Birthday Party, Grinderman and Nick Cave and the Bad Seeds, and the app will make recommendations, and you can always use the “randomizer” (randomiser, surely Nick?) when you run out of “murder & mayhem” and “super dark” ditties. 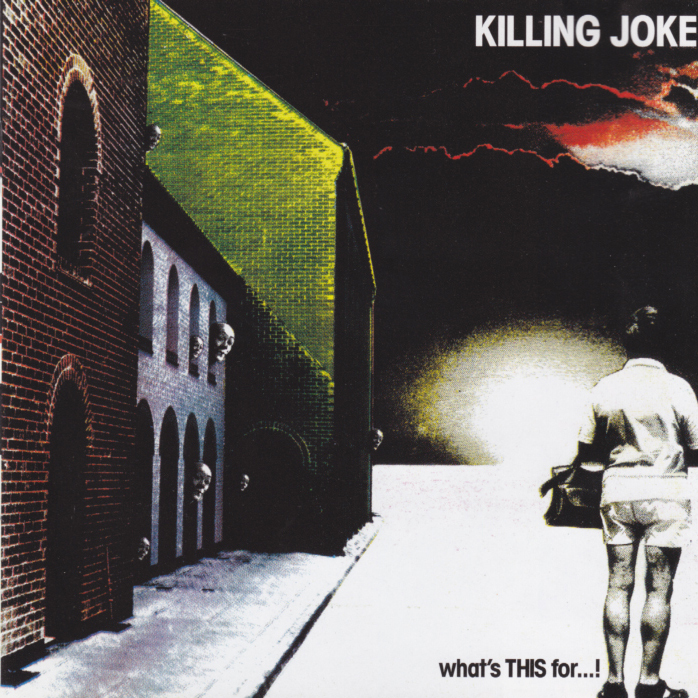 Killing Joke, “what’s THIS for…!” – but where’s it from…? 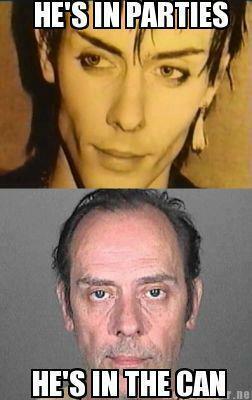 This came up on the excellent “put on your mask and animal skins” Killing Joke blog. what’s THIS for…! is Killing Joke’s second LP, and its cover, left, will be familiar to many Killing Joke fans. The iconic cover features the Mike Cole staples of the man in shorts (click here for a Mike Cole interview identifying this man), plus the vintage bald clown head – but where do the buildings on the left hand side come from? Prague? Barcelona? Hamburg? Moscow? 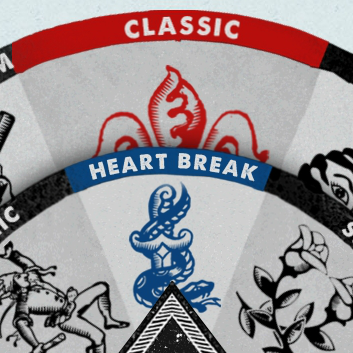 I’ll give you a clue – Aha!